It is hard to believe that the EUCACIS Research Training Stay has officially wrapped up. 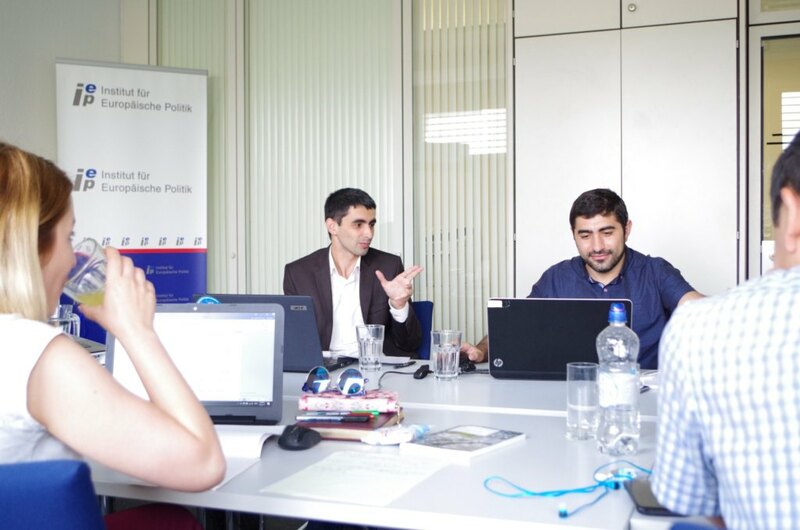 Our fellows from Central Asia and the Southern Caucasus have put in a lot of hard work and dedication so that they could utilize the programs benefits and better their theses and policy papers while continuously learning. The week started with two interactive workshops, where fellows learned to collect and analyze qualitative data. 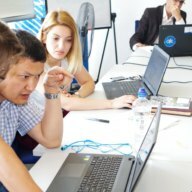 These workshops allowed fellows to expand their knowledge on data usage and collection that could be put into their theses. The rest of the day allowed them to prepare for their policy paper presentations. 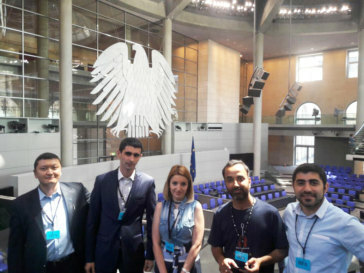 The following day, fellows continued to prepare for their policy paper presentations, and then topped off the day with an amazing trip to one of the main German democratic institutions, the Bundestag. 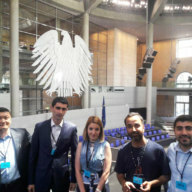 Fellows were given the opportunity to explore and see the German parliament building and explore its rich history. Wednesday was a day for presentation of policy papers with peers, followed by a lunch debate. Our fellow Violetta led the first debate on the topic “reflecting on statehood and security”. The second debate, led by fellow Bahodur, was on “Global governance in the context of climate change”. 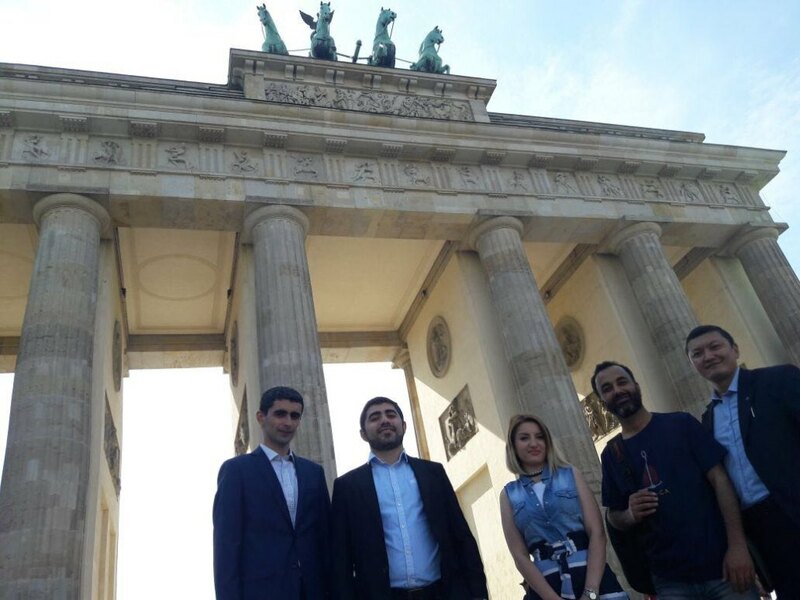 Fellows had thought-provoking and deep academic discussions and debates on problems and solutions during the debates. The debates were followed by more presentations and the weekly colloquium, where EUCACIS staff and fellows met. An early morning workshop the following day demonstrated hands-on statistical data analysis. The rest of the day was used for more individual research. 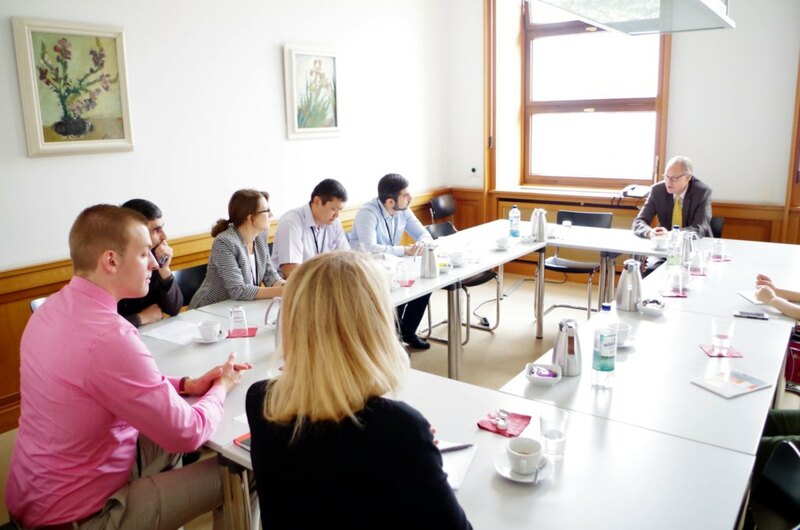 Friday morning gave fellows the chance to visit the German Foreign Office, where they were able to have a roundtable discussion with Michael Siebert, and ask questions related to foreign policy in the Southern Caucasus and Central Asia. After the trip, fellows were allowed to use the rest of the day to do more individual research and prepare for interviews. On Saturday, fellows were allowed to take off their research hats during a trip to the Wannsee lake just outside of Berlin. The last week of the research training stay consisted of many different activities for the fellows. On Monday the fellows continued to conduct individual research and interviews. This day was used as an independent day for fellows to really focus on their papers during their last week. Most of the following day also consisted of more individual research, but the end of the day included a trip to the Research Division of the German Institute for International and Security Affairs. EUCACIS fellows had the chance to see the heart of a leading security affairs think tank in Germany, and were allowed to ask questions relating to their work. The third day of the week allowed fellows to do some more preparation for their policy presentations, yet there was also another lunch debate. The debate was led by EUCACIS fellow Azad, and the topic was “The issue of energy and infrastructure”. With a topic so interesting and relevant to today’s world in almost every region, fellows had an intriguing and deep discussion and debate . The debate was followed by more time to present policy papers, and of course the weekly colloquium. Thursday morning allowed our fellows time to plan for future milestones for their PhD theses as they got ready to depart back home. One last trip was taken to the Federal Ministry for Economic Cooperation and Development. This department tackles many of the issues of economic development around the world, and fellows were very intrigued by the trip. The last day of the research training stay was on Friday the 28th of July. Some of the fellows were selected for an interview that will be included in our EUCACIS newsletter. They then had lunch with IEP and CIFE staff where they were able to discuss many topics. 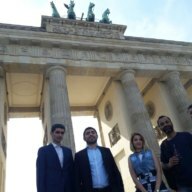 Fellows also asked questions and sought guidance from the staff that would help them in the future before they leave Germany and return to their respective home countries. 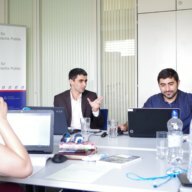 The final part of the EUCACIS session was a debriefing session where fellows went through a summary of the entire research training stay, and were given the chance to give a personal evaluation of the program. They then had the rest of Friday and Saturday to enjoy Berlin. The research training stay was a success, and fellows were able to advance their theses and learn lots of relevant information through interactive workshops, lectures, one-on-one consultations, trips and lunch debates. IEP and CIFE are looking forward to the second portion of the EUCACIS training stay!